Here is a new seedlings which I've just registered under the name "Marion Willson". She is a cross between C. florida and a C. viorna hybrid. Congratulations, Brian. This was the one that had the bonus of being scented, correct? It's one of your most lovely. Well done, 'Marion Willson' looks great. If you grow 'Aphrodite' can you tell me if there is any difference. Hard to see from the picture although your cultivar seems to flower more freely. Thanks. Thanks for your reply. It is kind that you offer to send me a cutting but please keep in mind that I work commercially with Clematis. But I will be happy to grow the cultivars next to each other and see the difference. It will also give me the opportunity to make herbarium specimens of your cultivar. This picture above is of Clematis 'Aphrodite' (Diversifolia Group). I finaly managed to upload this picture, after many attempts. 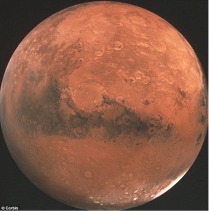 Also the colour of this picture is quite acurate. Wim, are you sure that 'Aphrodite' is an x diversifolia, as I believe that x diversifolia basically means that the cross is integrifolia x viticella, and surely 'Aphrodite' is a synonym of 'Aphrodite Elegafumina', which is reportedly florida (var. sieboldiana?) x ' Hendersonii', which, if that is the case should not be classed as x diversifolia, or even diversifolia group. If it is not the same cultivar, then of course I apologise for the mistake. Brian, I love your new hybrid. The cobalt color and number of blooms make it quite special. Due to it's parentage, I assume it is a clinging type. I think that this will be an interesting plant for introduction. When I uploaded the picture I noticed it looks rather pale. I took the picture of a forced plant in the greenhouse, plants ouside are more like the colour in your picture. The name 'Aphrodite' is the legal name for this cultivar, the name 'Aphrodite Elegafumina' refers to the same plant and thus the name is a synonym. With regard to the cultivar group I know that the RHS Register does not follow my cultivar group classification, which is okay of course. I did not write, as you refer, that 'Aphrodite' is an x diversifollia, I wrote (Diversifolia Group) which is quite something else. Do not worry about this all. I am busy writing about cultivar group classification and hope to finish this summer. Than I need to find a publisher for the 100+ pages. If I do have a change on Wednesday I will pick a plant of 'Aphrodite' for you which I will send bare rooted to you, in return for your 'Marion Willson'. Please let me know the post address I should use, thanks. (Sorry its taken me a while to get back, I've been away from home for a week - work training course..... ) I was aware you'd evolved your ideas on cultivar groups because I recall your talk at the BCS meet, when you were using slides to refer to areas of 'overlap', across various parts of Clematis. But it would be very interesting if you might enlarge/recap a little on the fundamental ideas for us, here, if you felt inclined (pre-publication)!! - so we understood where you were coming from in terms of your basic principles. I think Keith was referring to the traditional "x diversifolia" group, (please correct me if I am wrong, Keith) - as opposed to a novel basis, or a new starting concept such as (Diversifolia Group)? Thank you very much for the kind offer of the plant and I'll send my address today. I'll send you a cutting of MW when they are ready, hopefully not many weeks from now. Many thanks for your information. I am not so good in this but I did found your address, after loggin in a second time, ending up somewhere on the website afterwards. Any way, as you see, I am not online every day myself either. About classification: I will try just a little bit here however it seems not the right place to do so and I do not want to write a lot because of my publication. One of my principle is that as long as 2 more people talk about taxonomy, nomenclature or classification than they normally do not agree with eachother. What I try to do with my forth comming article is to settle a cultivar group classification which can be accepted worldwide as today about all authors have their own classification. 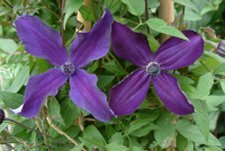 As far as I am aware only Edith Malek, President of the American Clematis Society, is following my classification strictly. But I have to confess here that she has my manuscript of my article. My whole idea is that after 150 years of Clematis cultivation it is about time "we" use one cultivar classification as the world does in Chrysanthemum and tulips for instance. I also think Clematis deserves this instead of that every new publication also has a new classification. Of course you can argue here to follow the RHS Clematis Register but I found that not consistent in the way the groups are described and applied. 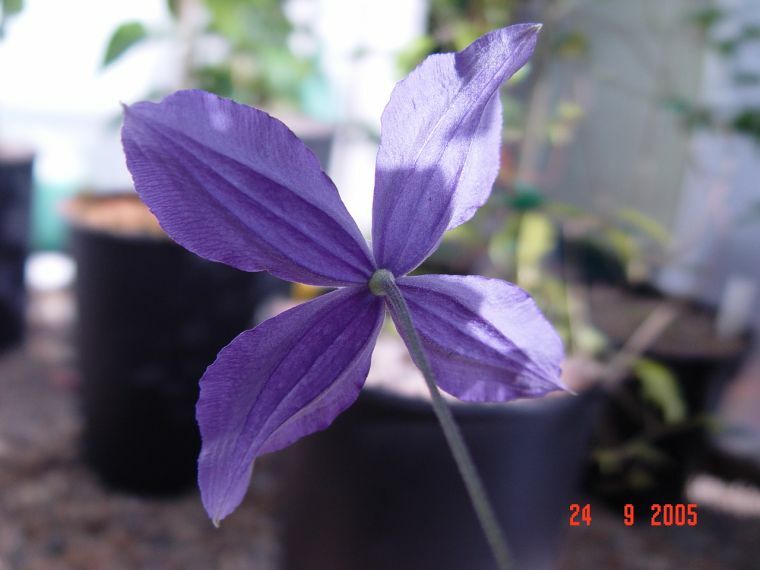 The name Clematis diversifolia was neglegted for about 100 years untill re-used as a cultivar group name, namely Diversifolia Group, published in 1988. But the RHS Clematis register has "reintroduced" the use of the name Clematis x diversifolia, implying (at least by the users of the Register) a plant with this name exsists. 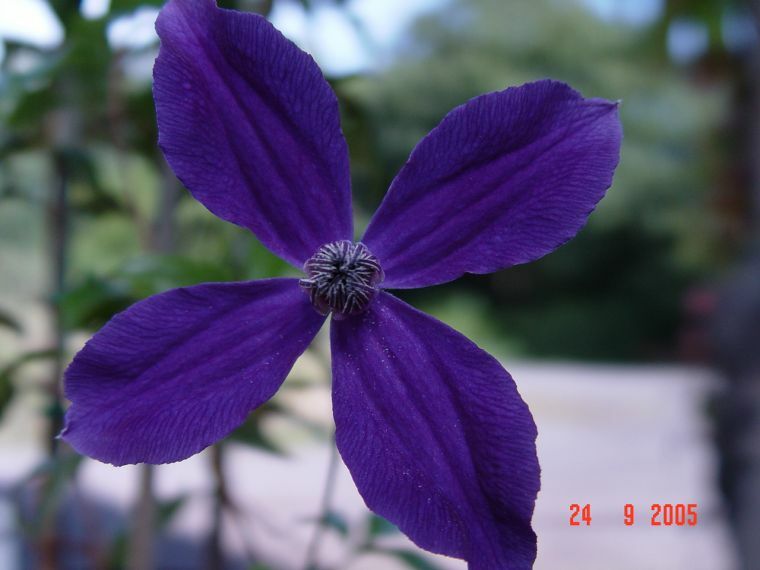 In my oppion this name is about the cross, in this example Clematis viticella X Clematis integrifolia or vice versa. The name is not a description of a plant. To put it the other way around, a plant named Clematis x diversifolia does not exsists. When using a species name as a cultivar group name brings directly one problem: people who follow a more conservative way of classifiying cultivars uses the cultivar group name to classify the cultivar under that species name. For instance: Clematis 'My Angel' (Tangutica Group) is listed by people who prefers to classify cultivars under a species name as Clematis tangutica 'My Angel' by using the name from the cultivar group. Thanks for refering to my BCS presentation as you got the point of my talk. A cultivar group must be used and applied in a much wider sence and indeed in several occasions a cultivar group can or may overlap with another group. This is also the meaning of such a classification. That makes it that your 'Marion Willson' can be classified in the Diversifolia Group (not as Clematis x diversifolia 'Marion Willson') and this is also so for Clematis 'Aphrodite'. This means by using species names for the name of a cultivar group it will give users the opportunity to classify the cultivar under the wrong species as in the given example. Much better would it be to use modern terms or names for the names of the cultivar groups and this is what I have done in my Agapanthus book. In my book I changed the cultivar group names from species names into modern terms. This avoids that cultivars are classified under the wrong species. Take this note: the ICNCP does allow two ways of writing cultivars; either under a species name (when the species is known) or without (also when the species name is known). As you might know, I do not classify cultivars under a species anymore but classify cultivars in cultivar groups. This, I feel, is the modern approach and avoids a discission about the origin of the cultivar when talking about cultivar nomenclature. So, I stop and I do hope it makes all sence. I will post the Clematis 'Aphrodite' tomorrow and look forward to a cutting of your 'Marion Willson' in due course. It is great to exchange plants like this. Thanks. I can appreciate your point of view Wim, and have some sympathy with what you say, but as at present the RHS is accepted as the World authority on registration, then I am afraid that I have to be pedantic and follow their rules as they stand at any particular time. I think, however, that you might find that the Registrar is amenable to being persuaded that some changes of nomenclature are due, and even necessary, and he may well look favourably on your arguments, if they are convincing enough. I think you may have got the name of Aphrodite Elegafumina/ Aphrodite the wrong way round, as 'Aphrodite Elegafumina' is the correct registered name, and 'Aphrodite' is the trade designation, according to the latest suplement to the register. Mind you, I can see why the nursery trade wanted to simplify the name! Good that you considered about what I wrote. Of course the RHS Register is the ICRA / International Cultivar Registration Authority, but that does not mean that all what is published in the Register should be taken for granted. I hope that I am as open for considerations and oppinions but I am certainly aware of the fact that we are all selfish, me included. I would like to see my opponions to be accepted as much as any person would like to see. That is one of the reasons that in about all new book all authors include their own classification. This is based on what I wrote before; when 2 persons or more are talking about taxonomy and nomenclature than there will be an argument. I am sure the RHS Clematis Registrar is also open for new views and oppinions. I mentioned Edith Malek as an example of someone who accept my classification and so is trying, as much as I do, to accept one worldwide classification. I, very sorry, forgot another author who did the same: Linda Beutler. 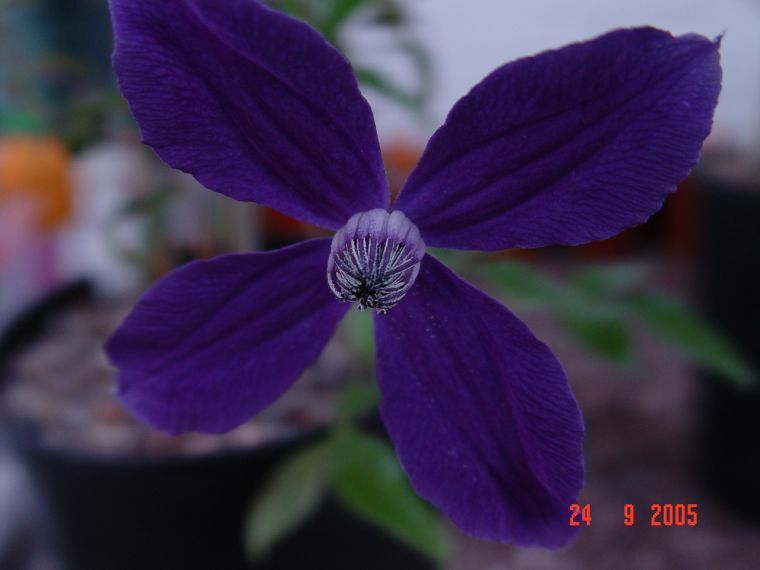 Linda also accepted a classification from another author, in this case the classification from RHS Clematis Register. By this Linda also tries to accept one worldwide classification and this, like Edith, gives her credit. As far as I know Clematis 'Aphrodite' was granted Plant Breeders Right in Japan under this name. This means that other names for the same cultivar are synonyms, also when such names are published before the PBR grant. As PBR registrations are legal registrations their nomenclature has to be accepted. Trust me, it is not me you need to argue your case with, it is the registrar. I am happy to stick to whatever the registering authority decide is fact, and at present that is what is in the official register. If indeed that is wrong, and in a case recently, Mr. Takeuchi and I were able to convince the registrar that a description was in fact incorrect and so end up with a correct description of that cultivar, then as I said, the regostrar is open to convincing persuasion. If you can convince him, then I am only too happy to follow the new rules/conventions/whatever. Presumably you must know of something about this cultivar that the registrar doesn't, and if that can help him come to a resolution, then I feel sure that he would be only too pleased to hear from you. In the case of x diversifolia and your 'Diversifolia group', again I am quite happy to accept what the registrar decides, assuming that you convince him that there should be such a group name, and assuming that there are some actual parameters about what that group would include, breeding wise. In the same vein, the trade likes to call 'Etoile Rose' a texensis group cultivar when in fact it only has a quarter genetic material from texensis, and this is patently wrong, but still persists because the name texensis has helped the trade to sell this cultivar over the years. I grow it in my collection because it also has a quarter hirsutissima var. scottii in it, but I also accept that it fits into the collections of those who grow it as a hybrid containing half viticella genes. I have no financial stake in any of this nomenclature, being strictly an amateur, and will continue to use the register and supplements as fact, whilst accepting that others may have information that will affect the nomenclature, in which case they must inform the registrar in order to get the facts straight. There are things which I myself would like to see changed or clarified in the register, but then it is up to me to do something concrete about it, by informing the registrar of what I know or understand, or trying to convince him that a change/addition needs to be made. Hope that this clarifies my position, not as a troublemaker, but as someone who is simply trying to work by the rules as they stand at any point in time, and as someone who is only too aware that he has an enormous amount still to learn. Again, thanks for the considerations and interest in what I write. And what you write is very interesting also, I am most pleased with it and I do not read your lines as if you would be a troublemaker. Perhaps readers of this forum sees (classify) me as a troublemaker. In fact, those who like to play with taxonomy and nomenclature needs "troublemakers" to be sure that decisions made are as correct as possible for that moment. 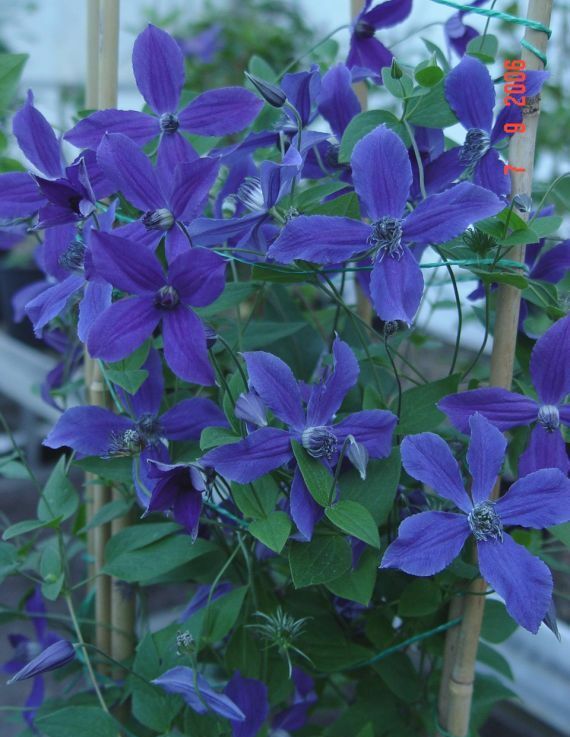 I will gradually finish my article on Clematis Cultivar Classification. It is not my intention to start a correspondence with the RHS Clematis Registrar about this subject because it seems scientifically not right. It is not a man to man arguement. In due course I hope to find a publisher and than leave it to the Clematis world to decide what to do with it. You write that if there is something in the RHS Clematis Register that should be addressed that I should inform the Registrar. Sorry about this but I will not do this any more. Far to many differences in nomenclature views and so frustrated now. At work and in my private records I do not classify 'Etoile Rose' in the Texensis Group for many years. When you look at the plant 'Etoile Rose' anybody will understand the plant does not have any relation with the Texensis Group. As you write, there is quite some commercial interest here to use the name Texensis with 'Etoile Rose' if it is only for a higher retail price. But, looking from it as staff of a clematis nursery I can write that 'Etoile Rose' has the same wholesale price as for instance 'Gravetye Beauty' or 'Princess Diana'. Not because of the name Texensis (which we do not use with 'Etoile Rose') but because it is difficult to propagate. This means that cuttings that do not root and stock plants that die has to be payed for too. Tomorrow A little more beautiful photograph is taken. however ... it may be unable to photograph. Thank you Wim very much indeed for the plant received yesterday. which give me a lot of pleasure . The fact that they have names is of no interest to me . I suppose if I grew them commercially things would be diffferent. size. All it needs as most are pulled before photographing is a coin in the picture. Please let us have some point of reference . Ron, love the description of your occupation on your profile! And, good point, have to bear that in mind in future! What a great subject turns up when someone (in this case Brian) puts a nice picture on this forum. Your proposal to photograph a coin with the flower might sound a good idea. But I have no idea what the size of coins are Australia or Canada. Also matches seem to vary greatly in size worldwide, so also no option. The best option is a ruler in cm. But then the colour of the ruler might influence the light of the flower, etc. This apart from what I think is that people in general might not like a flower picture taken with a coin or a ruler. At the nursery where I work we have solved this problem on our label. On the picture side of the label we show a nice picture of one or more flowers and on the text side of the label we include the size of the flower in text in cm. With this information we hope we are as honest to the consumer as possible. it has bugged me for a while . Please excuse any spelling mistakes ,its not one of my strong points . Whilst Wim and his colleagues are trying to convince us with their labels that they are being "honest to the consumer as possible" it must be coincidence that a considerable amount of plants I have had from Holland in the past have had the WRONG labels attached.I have a small nursery where everything I sell is retail,face to face ,and for my customers to return it is vital that I find them the right plant at the right price.I had a batch of 25 "Georg" which turned out to be "Pamela Jackman"when they flowered ,many other clematis also, 2 batches of Agapanthus ,supposedly different,were the same,Astilbes all mixed and some "Moonlight " roses which I delivered personally to a lady near the Lake District which turned out bright pink!! I have also noticed deliveries of clematis to local garden centres which are in flower with the wrong label.I can also quote 2 more local nurseries who have had the same probems. Whilst I accept that the plants are excellent condition,so is my hard-earned cash which I send in return and will not be purchasing anything else from Holland. Well, what can I write about all your complaints about Holland? Of course a forum like this is open for any subject but I do feel this is the not correct place to reply on your complaints. I also can not reply because I cannot take your complaints personally. My only advice can be: stop ordering plants from Holland. I do not wish to interfere with what either of you have as opinions , But I do feel that the forum be kept to the subject of Clematis in general , and not commercial differences . I know I am new to this forum but I feel that I started this subject , but it was just one of my feelings that size matterd. Let keep it all friendly and informative . Sorry about that,Ron,no offence intended ,will try and keep to plant matters in future. Apologies also to Brian. The picture shows a flower of Clematis 'Aphrodite' on the left and a flower of Clematis VICTOR HUGO on the right, taken last Thursday. As before, the picture turns out to be to light in colour than the original. 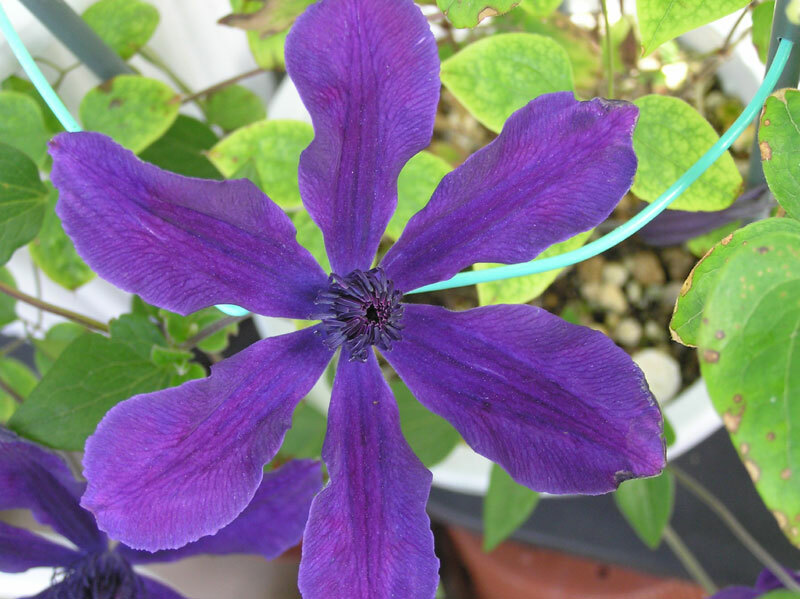 Hi, can I ask, if you Hybridise a clematis and create a new one ( I can only dream of one day achieving this ) How would I go about registering it's name? And I have heard lots of plants are licensed to their breeders so am I allowed to even do this legally? I would be doing this for my personal pleasure nothing more so even if I managed to create a new clematis one day in the future and registering a name to it, how would I go about sharing it with others? It would be a shame to not be able to share with other clematis lovers.